The first written mention of vodka was in the early 12th century, so needless to say, this spirit has been around for some time. Vodka is a naturally clear distillate that can be produced by fermenting and distilling any number of starch- or sugar-rich materials including wheat, rye, corn, potato, grape, etc. Modern vodka may or may not come with added flavorings—the better ones opt for all-natural ingredients. Each distillation pass-through removes additional impurities and improves the taste (and increases the cost) of the vodka. Although most consumers don’t know it, the process of filtering vodka significantly increases its alcohol content. Thus, before the spirit is bottled, it must be diluted in order to make it more drinkable. 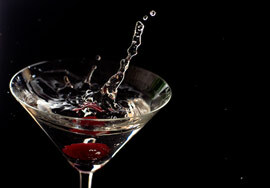 Ace Spirits offers one of the best selections of vodka online. We are your one-stop online shop for deals on this spirit.